"I just keep watching the documentary "If you dont know me by now" it is brilliant, bittersweet & heart breaking!! !I Loved all of TEDDY'S SONGS!!!! I DID LEARN A LOT ABOUT TEDDYS LIFE I DID NOT KNOW. EVERY TIME IT COMES ON I WATCH IT, I DIDNT REALIZE HOW MUCH I MISSED HIM, TKO WAS MY JAMM!!!! RIHP TEDDY BEAR I WILL LOVE U 4 EVER. YOU ARE LOVED BEYOND WORDS & MISSED BEYOND MEASURE THE CURTAIN GOES DOWN BUT THE APPLAUSE IS 4 EVER!!! DEVOTED FAN JOYCE GREEN. MARCH 4, 2019 CHGO ILL."
"Still missing you Teddy P"
"The best part about wedding pinlnang is merging two cultures together. My fiance is Greek and I am Chinese. Finding our cultural traditions and incorporating them in the wedding has been so much fun. Both of us were raised in the states so we've been doing some research on Greek and Asian traditions. We've learned so much about both our family backgrounds already! It's been so special." "Teddy was one of the greatest singer of all time and he will be missed God bless his soul. Condolence to his family." 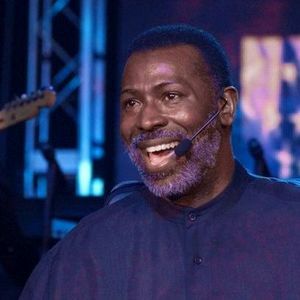 "Sorry to hear the passing of a amazing singer and person"
"I have so many wonderful memories of Teddy Pendergrass from his start of fame, he was a wonderful performer. I enjoyed endless hours of music and still do.. I listen to Teddy everyday, I feel we have lost a great and wonderful man, My Prayers are with him and may he bring as much Joy to the heavens as he did to his fan's here on earth. Love always,& May God bless you and keep you safe in the Heavens above,"